Our picks for the Class of 2017 include chicken breeds for multiple lifestyles. It’s that time of year again! We’ve got senioritis, and we’re ready to spread our wings and fly. This year, the destination isn’t college: It’s the best hatchery with the healthiest birds. But before you place that order, do you know which birds are best for you? Like applying to and attending the best school, there’s a perfect match out there for you in the world of chicken breeds. As you take a look at our Class of 2017 lineup, ask yourself a few questions: Does this bird’s personality fit mine? Will this hen lay enough eggs for me and my family? Do I want hens that forage for most of their feed, or do I need birds that bear confinement well? We’ll cover these points and more in our list of superlatives, so let’s get to class! This hardy heritage breed is an expert forager. Although it prefers to find its own food, it’ll adapt to confinement if need be. The only American Poultry Association-recognized breed to be cultivated by a woman, Nettie Metcalf groomed the Buckeye to be an excellent dual-purpose bird—one raised for laying eggs as well harvesting for its meat—that is scrappy and adaptable. The Orpington is a gentle giant. 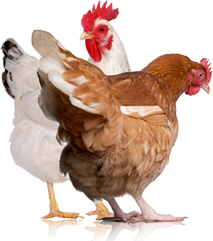 In temperament, hens are sweet and easy to handle and care for. They’re first-rate layers of beautiful pink-brown eggs, and their golden color is simply divine. They’re also incredibly cold-hardy due to their fluffy, loose feathering, so for cold climates, you can’t go wrong with the Buff Orpington. Friends call it by its nickname—the “turken”—because it looks like a cross between a turkey and a chicken, but make now mistake: The Naked Neck is 100-percent chicken. It may look rather goofy to some, but thankfully, its naked neck is actually a boon, making this breed an excellent hot-weather bird. It spends less time growing feathers, which is an energy-intensive process, so its conversion ratio of feed-to-eggs/meat is great. Hens are good layers and make wonderful mothers, too. This hen is simply beautiful! If it stopped there, she may not have made it to the list, but the truth is that she’s an excellent backyard breed. Cold-hardy with a personable and easygoing demeanor, the Wyandotte is a great egg-layer and a dual-purpose heritage bird, too. She’ll adapt to confinement well but will gladly forage if given the opportunity. This French breed makes the best feathered flock guardian that I’ve had the pleasure of keeping. His gorgeous plumage is not to be missed. Toward humans, he’s gentle and tolerant. It doesn’t have the pedigree, but it has the drive! The Easter Egger is not an APA-recognized breed, but rather, it’s a rebel that carries the colored-egg laying gene. As such, it comes in a wide variety of colors, since there is no breed standard, but these birds are fun, cool and always surprising. The Easter Egger is a great winter layer, while also being superfriendly, cold-hardy and adaptable. It’s not just hair: It’s a topknot. This breed takes its plumage seriously, so don’t insult the do! The Polish’s crest is certainly its calling card, but it’s a wonderful breed for poultry enthusiasts who like to spend time and attention on their birds. However, the Polish’s topknot can obscure its view, making it rather flighty at times. (You would be, too, if you were bullied by your classmates for your hair!) Attentive keepers must take care to manage flocks accordingly. Widely known for making excellent mothers, Silkies are adorable, sweet and soft. They’re rather petite, and while the hens lay a lovely little tinted egg, they are not rock-star layers. Instead, their strengths lie in the personality department: They make great pets for kids and fanciers alike. Their unusual feathering, which looks and feels more like fur or the down of a chick, makes them attractive, but not suitable for very cold climates. Of all the heritage breeds, the Australorp is simply the best egg-layer. Setting the record of 364 eggs laid in a calendar year, the Black Australorp takes the prize without effort, expertly laying an abundance of brown eggs. These medium-sized birds are absolutely beautiful—their feathers shine green and purple—and their personalities are top-notch, too: sweet, gentle and easily handled by humans. In mixed flocks, Australorps can get pushy but are generally copacetic. Dazzling us with bright blue eggs, the Ameraucana is a top-notch egg artist. It’s also calm, nonaggressive, adorable, easily-handled and friendly, making it the perfect chicken for children. Hens are excellent egg layers even in winter and bear confinement well. Don’t expect them to forage for all their food, but they do camouflage well in the field. When shopping for an Ameraucana, find a reputable breeder who knows the breed. What makes the Barred Rock so successful and popular is its can-do, die-hard attitude. It’s smart, inquisitive and sassy. It reaches for the stars—or at least the top of the pecking order—and doesn’t take no for an answer. Rocks have excellent camouflage abilities, are great foragers and excellent egg layers, and make wonderful broody hens and mothers. The Barred Rock is a dual-purpose heritage breed with a great personality and is a wonderful chicken to keep around children. What can I say? The Rhode Island Red has it all! This incredible bird is such a successful and popular backyard hen that it was named the state bird of Rhode Island. Curious, gentle, tenacious and smart as a whip, the Rhode Island Red is an excellent all-purpose heritage breed with great foraging abilities, impeccable egg-laying habits and beautiful rust-red plumage. Great for either free-range or confinement and suitable in just about any climate, the Rhode Island is a must-have, must-try breed for every chicken keeper. If you’ve ever had a bowl of Kellogg’s Corn Flakes, you’re likely already familiar with Cornelius, the most famous rooster that ever was. Thanks to a savvy 1950s ad campaign, this animated Welsummer rooster made his way to many American breakfast tables. 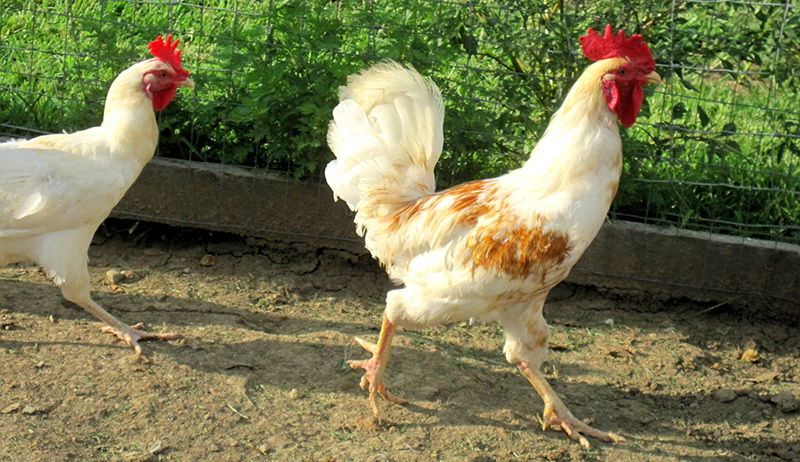 If you’re looking for a good forager that protects his hens and has a gorgeous appearance and a tail that flows with a rainbow of colors, consider spearheading your flock with a Welsummer rooster. Other points to consider include whether a breed goes broody often — a trait that is desirable if you want to hatch your own chicks naturally — and docility, particularly for hens that will be part of a family flock where young children care for them. 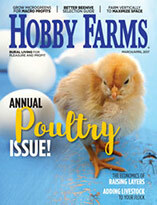 When choosing ­chicken breeds, go with your head over your heart. While the pretty blue-green eggs of the Ameraucana and the Easter Egger are lovely, for example, and the fluffy feathers of the Silkie are oh-so-enticing, only go with these breeds if the rest of their profiles fit your criteria. Choosing a chicken that suits your climate and your kitchen’s needs and matches your personality will spell success now and for many years to come. 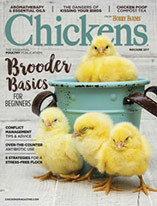 This article appeared in the January/February 2017 issue of Chickens.